While most people shirk from even the mention of snakes, for those who brought up around them, hunting snakes is no big deal. In fact, hunting snakes is considered a pastime in many parts of the country. Hunting snakes not only serves a practical purpose as the skin and meat of a snake can be used. 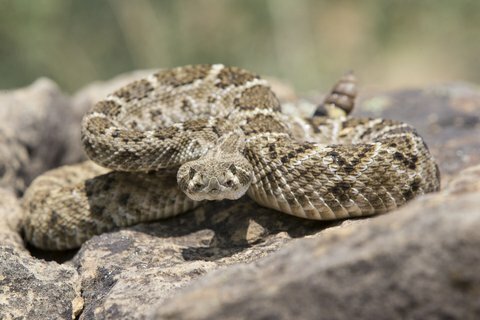 Hunting snakes can also be a sport and it can serve a worthwhile purpose such as eradicating certain areas of invasive predators. Snakes are nobody’s idea of a good time. In the summertime when temperatures warm, it’s especially important to keep a close eye out for snakes on the trail. They prefer to lay out in the sun when the weather is hot, so they could be stretched across the trail or a rock near a stream. Venomous snakes to be familiar in the southern U.S. include rattlesnakes, copperheads, cottonmouths and coral snakes. For those who enjoy the thrill of hunting snakes, here are four states that not embrace snake hunting with a passion. No other state in the nation has been impacted by snakes as much as Florida. Burmese pythons have spread to such an extent throughout the Everglades and surrounding wetlands that it is having a devastating affect on wildlife as the snakes are wiping out its prey such as small rodents and other mammals. The state has sponsored a python hunting contest in the past and this year Everglades National Park has taken the unusual step of hiring professional hunters to take out pythons in the park. If it’s wrangling a python out of the woods sounds like a party to you, then Florida is the place to be. In Pennsylvania, snake hunting is so popular that local towns actually have snake hunt parties. The number of organized, public-spectator hunts have dwindled over the years and morphed into combinations of carnivals, flea markets and snake hunts, according to PennLive.com. Most of the events are held during the month of June when snakes start to become the most active. Texas is another state known for its abundance of snakes. Here professionals such as the Rattlesnake Hunters of Texoma, recently featured in the the Times Record News, remove snakes on private property as a business. After record rains last year, snakes have been invading Texas on an even larger scale than in years past.